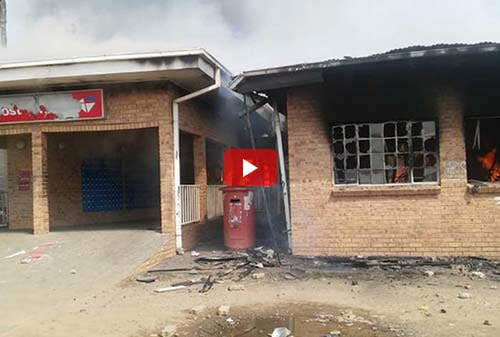 ​Violence erupted after protesters set alight a post office at Kroonstad in the Free State on Thursday, 11 April 2019. 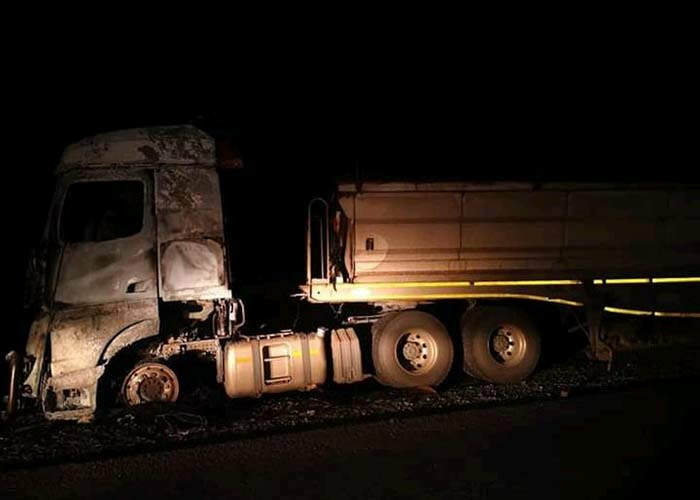 Police spokesperson Captain Stephen Thakeng said that people known as the "Concerned Group" went on the rampage in Maokeng at about 6h00. He said protesters had barricaded roads with burning tyres and rocks. "They are complaining about service delivery and high unemployment in Maokeng," Thakeng said. Two vehicles that belonged to the municipality were also torched. Protesters smashed windows at the local municipal offices. "They were targeting the municipality offices but with our intervention, they couldn't succeed so they resorted to the two cars parked inside the yard," Thakeng said. There were no immediate reports of shops being looted. He said more than 60 people had been arrested for public violence. "We are in large numbers patrolling and maintaining law and order in Maokeng." 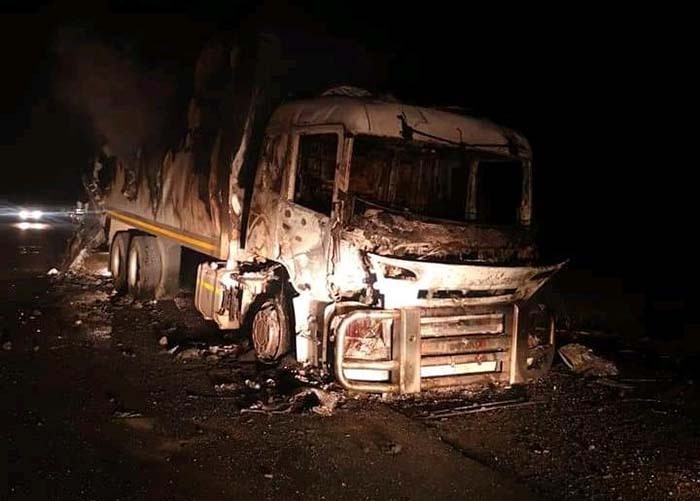 Three trucks were set alight on the R76 between Steynsburg and Kroonstad on Thursday night. Police spokesperson Captain Stephen Thakeng said on Friday morning that police are investigating cases of malicious damage to property and public violence. 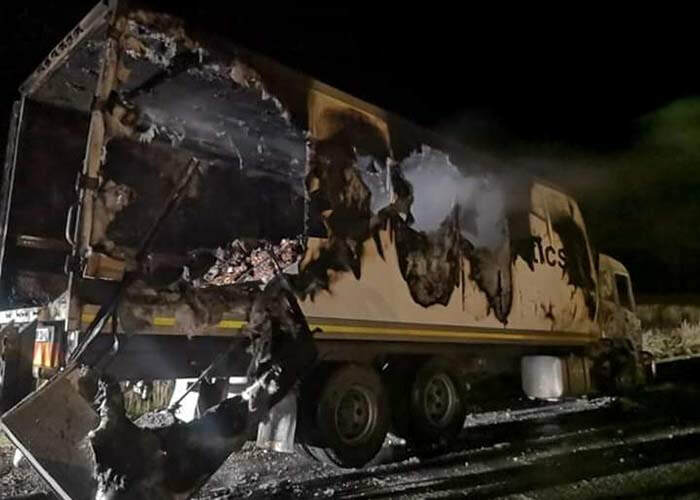 "We suspect the violent protests in Kroonstad [on Thursday] spilled over to Steynsrus at about 21h00 on Thursday night. That's when three trucks were burnt. We are monitoring the situation."